Hi everyone, what absolutely beautiful weather we have had here in the UK. And especially up here in Scotland, it is the most consistent hot weather since the 1940's, pretty amazing. I am not able to enjoy it all of the time, as I have to be disciplined, although I work from home, I have to be dedicated and actually work and not sun myself 24/7. Boring yes I know, but needs must. Anyway, I have been meaning to write this blog and showcase this beautiful makeup storage for a little while, and finally I have the time to sit down and do it. 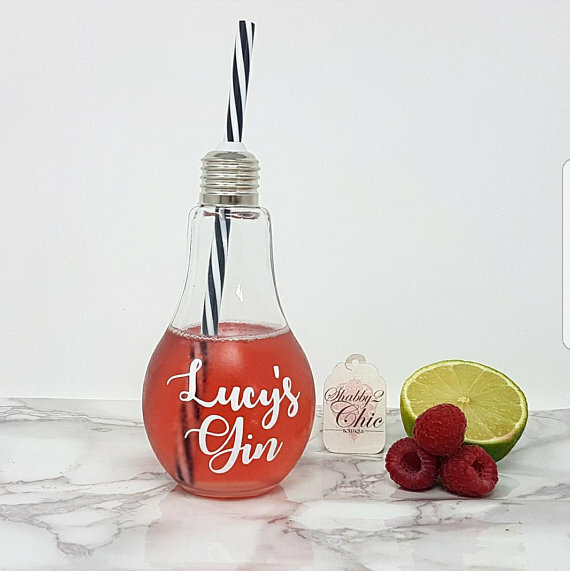 I discovered Shabby2chic Boutique over on Instagram a little while back, needless to say, I was struck with the beauty of the items and had to place my first order. Which was these beautiful Mason Ball Jars, painted with a colour of your choice, my study has a white and rose gold theme so I wanted to keep it within this tone, plus I absolutely love Rose Gold (as you can see from my Zeova brushes) it is my favourite colour along with purple and pink. I did not realise that you could re attach the lids to the top of the jars, hence why they are not shown in the first image. You can see the lids on in the second image, which I really like. It looks much better and more complete. Shabby2Chic Boutique not only do makeup storage, but also tea, coffee and sugar jars, kitchen utensil holders, bread storage and lots more. Something for everyone to enjoy. And here is the beautiful be spoke made jar, sitting proudly in my study. I just love it. I think it compliments the smaller jars very well. The jar is very deep therefore if you wished to pop some brushes in it, I would advise you to fill it with some foam/bubblewrap first so this will heighten the brushes for you. 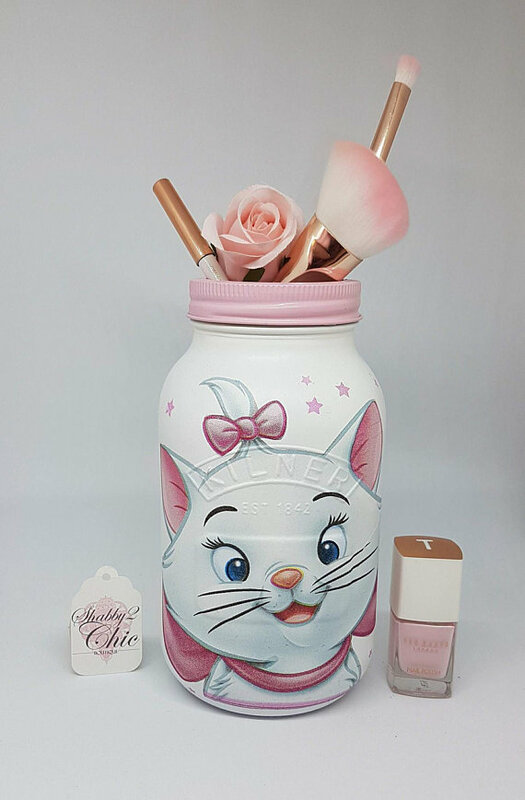 One item I absolutely love, but have not as yet ordered, is the below Marie Aristocat Pink storage jar. So pretty. These will also make perfect gifts for loved ones, especially for weddings, engagements, birthdays and Christmas. As all orders are be spoke and tailored to you, they take up to 3 weeks to ship for you. Have fun shopping for your new makeup storage or home ware.